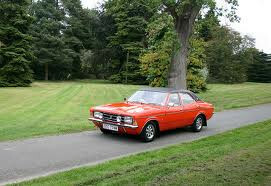 Ford re-introduced the "Executive" trim level to its evergreen Cortina range in 1973. 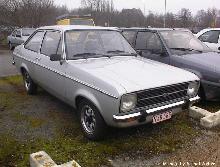 The 2000Ewas based on the Cortina Mk III and attempted to rekindle the spirit of the 1600E which had been a successful range topping Cortina Mk II. The new 2000E replaced the previous GXL trim level which had been the top-of-the-range Cortina. As before with the 1600E a vinyl roof was a distinctive addition to the 2000E, along with sports wheels and rectangular headlamps. Inside the 2000E could be found real wood facia and door cappings, thicker carpet and special front and rear seats trimmed in crushed velour upholstery. Unfortunately the 2000E failed to capture the publics imagination and the model lasted only one year.